But to play it well requires one essential element that comes before all others. Without it you will never play well. Adapt it, adjust it, but never ignore it. What is this absolutely essential element? It’s the golf grip. Get it right and you are well on your way to a decent round of golf. Get it wrong and no matter what you do, your game will never improve. I learned all this the hard way. The proper grip: what does it look like? The actual size of the grip on your club shaft, i.e. what size is right for you? Size does make a difference! Grip pressure: how tightly should you grip the club? At first glance the golf grip looks simple. When I first started playing with friends on the local municipal course, I had no clue how to properly hold the golf club. I just tried to imitate my friends, and from my perspective it looked pretty straight forward. Grab the handle with both hands, one above the other (I didn’t know it made a difference which hand went on top) and just swing. The ball will sail beautifully far off into the distance. That was my vision! Of course, it didn’t work out that way. Not only was I not holding the club correctly, but I was hanging on for dear life. Calling it a “Death Grip” would not be far from the truth. I was so afraid the club would go flying out of my hands that I just held on for dear life. Of course, that “death grip” did nothing but help my club stay stiff and impossible to work effectively. By trying to stay in control of the club, I was doing exactly the opposite — I was losing control. My balls went into the woods, into the lake, scooting through the grass or flying high into the tree lined fairway. Never straight, and never where I wanted the ball to go. 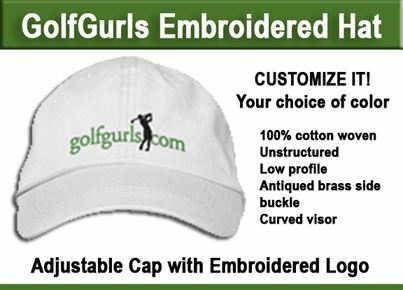 It took a while and several sessions with an instructor before I began to realize, my grip was the most essential element to my game. If I got it right, like dominoes, everything else about my swing would fall into place… If I got it wrong, then nothing was likely to go right. I wrote more about the details of this learning curve in a previous blog post: Your Golf Grip Is Your Key To Extra Yardage! — my coffee shop encounter with LPGA pro, Sue Kaffenburgh. In just a few short minutes she recognized something my earlier instructors had never noticed. Although my grip looked fine from the front, it was all wrong underneath. I was holding the club in my palm, not in my fingers. This led to that “death grip” and loss of control. Another important ingredient of the golf grip refers not to your hands, but to the size of the actual golf grip on your club shaft. Are you using clubs you got from a friend, or bought used? 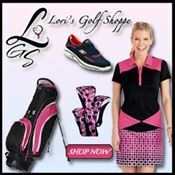 Or did you purchase a golf set from a local golf store or online? It’s possible that the standard grips that came with your clubs don’t actually fit your hand. If you find your club shaft slipping away from you, or your hands are too tight on the shaft, it might be time to get new grips for your clubs. Here is a short video that explains the difference in grips and how to determine if you are using the right size grip on your clubs. This is a key part of the actual golf grip, and one thing I have personally struggled with in my game. How tightly should you hold the golf club? “Like a baby bird?” – Alex Danner of SmashFactor.com shares an excellent tip that will help you figure out the answer to the grip pressure dilemma. Unsure how tightly you should hold the club? Try the lag approach when swinging your club to check your grip pressure and increase your ball’s flight distance. Golf Equipment: The Golf Clubs Every Beginning Golfer Needs! ← Golf Fashion Question: Should You Be Able To Wear Jeans on the Golf Course?